Medical Care in the jail is provided in partnership with Southern Health Partners and other local providers to deliver medical and mental health care services both on-site and off-site. Staff members consist of physicians, psychiatrist, dentists, licensed clinical social workers, registered nurses, licensed practical nurses, medical technicians, medical records staff, and administrators. Specialty services such as OB prenatal care for all pregnant inmates and HIV care are provided. An important part of the jail medical program is identification, counseling and treatment for community health concerns. Nursing staff are generally on site 24 hours a day, seven days a week. A medical doctor is usually on site Monday through Friday during business hours. 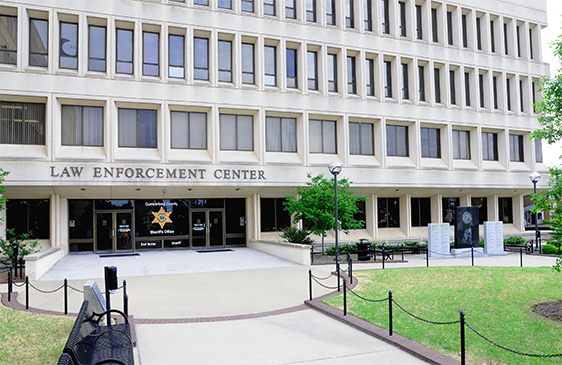 The mission of the Jail’s health program is to provide the delivery of comprehensive health care services to individuals detained in the custody of the Sheriff’s Office. The medical program ensures the provision of emergency, acute and basic medical/mental health care services to all inmates in a timely manner; taking all necessary precautions to prevent the spread of communicable and contagious diseases while maintaining a stable health status for inmate patients. Privately obtained medications are generally not administered in the jail. Medication ordered by the jail physician will be provided by the jail pharmacy. If you want to ensure that our staff members are aware of a medical problem or medication, please put the information in writing and contact the staff in the jail lobby and ask them to request a member of the medical staff to receive inmate health information. Inmates may obtain a sick call slip from their housing officer. Locked boxes, which are checked by the medical staff at regular times, are provided to turn in these slips. Inmates are charged a co-pay of $5.00 for non emergency sick call visits with the nurse. Inmates are never denied medical treatment due to a lack of funds. While most routine care is provided at the jail, it is occasionally necessary to transport an inmate to a hospital or other outside provider for care. For security reasons, details of the date, time and location of these transports are not made available. If an inmate is admitted to a hospital, visits may be permitted if manpower and security considerations permit. The medical department and Sheriff’s Office may on occasion approve private provider appointments after a thorough review. All costs of the provider, diagnostic tests and transportation fees must be paid in advance and will not be paid by the County. Private physicians may not conduct examinations in Sheriff’s Office facilities. Medical information will not be given to family or friends due to federal and state privacy laws. The patient may give medical information to family or friends. Medical staff accepts medical or mental health information and will follow up with the individual.